The Lost Denim Jacket is the latest of all our denim to drop and might be one of our favourite pieces from this year! There are 2 options for this jacket, with patches or without patches! We have only produced 39 of these jackets so they are extremely exclusive! Cop yours now while you still can! The jacket is slim fit and is true to size. If you want to wear it oversized or layer with hoodies then go for a size up. 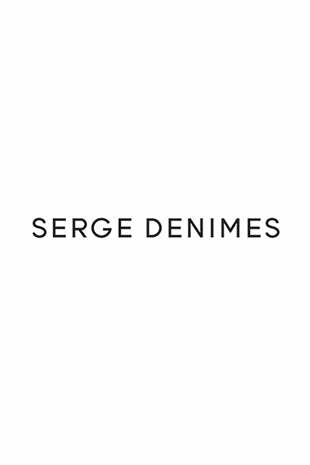 As a brand, Serge is influenced massively by different cultures found all around the world with everyone bringing something different to the table. Our founder Oliver Proudlock has been lucky enough to experience many of these! Placing them within many of his designs for the brand, creating diverse collections suited for all. Going for double denim is just an obvious choice in our eyes, however, you need something between the two just to split it up and what else other than our most recent Matt Roe Collection! If you actually do this, please send us photos, we’ll employ you*. We also have this jacket available with less patches and embroidery.